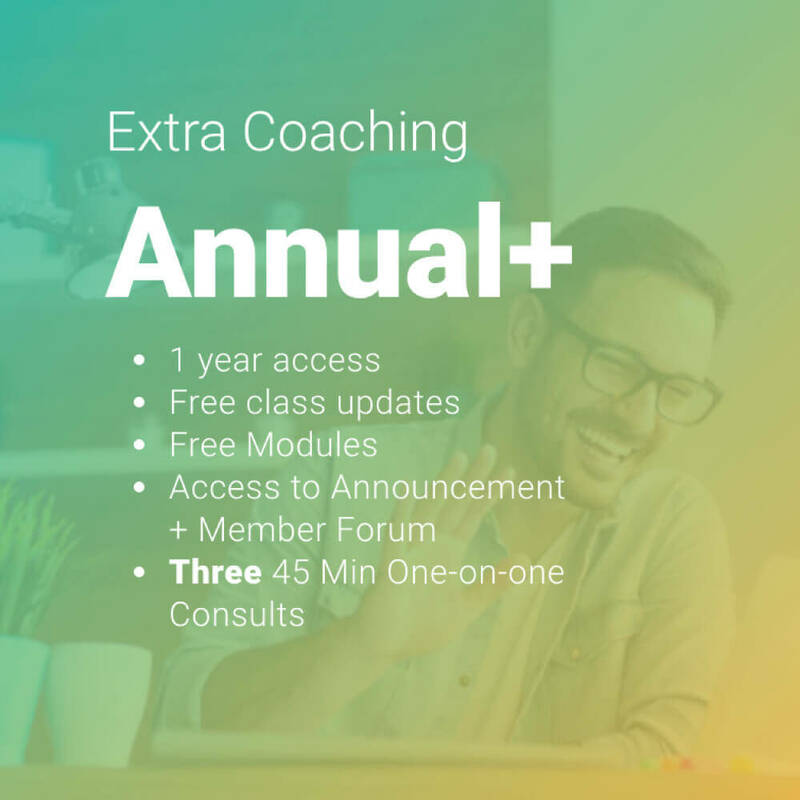 Take the annual membership to the next level with three 45 minute consults each year. 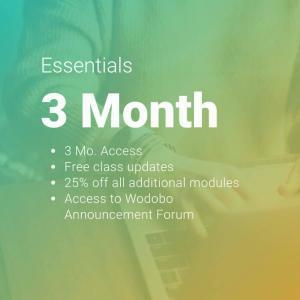 You can use them initially to help you get going on your site, brainstorm designs/layout, or troubleshooting. Other uses for consults include: brand & marketing strategy, vetting new tools and plugins, technical help, and more. 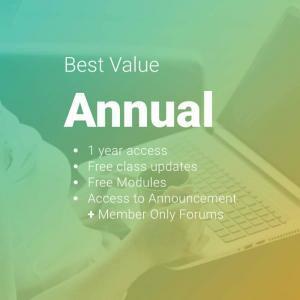 Additionally, with this yearly membership subscription, you’ll not only have full 24/7 access to the main course as it updates over the year, but you’ll have the same access to the announcements forum, member’s only forum, and last but not least, you’ll gain free access to the growing library of learning pods (which cover a wide range of topics including SEO, Site Security, Copy Writing, Marketing, Social Media, Design, Analytics, and more).